If you’re planning a vacation to Walt Disney World this fall, you’re in for a season full of fun. The magical fall season kicks off September 1 with the first Mickey’s Not-So-Scary Halloween Party of the year. The party takes place on 26 nights throughout September and October. The hard-ticket event takes place on select nights through October 31, and highlights of the party include Happy HalloWishes, Mickey’s Boo-to-You parade, and trick-or-treating throughout the park. Later in September the 19th Epcot International Food and Wine Festival begins. This year’s festival has been extended to a record 53 days – it begins September 19 and runs through November 10. The festival features tapas size dishes from more than 30 marketplace booths and guests can take part in culinary demonstrations by celebrity chefs, in addition to wine tastings and mixology seminars. The Eat to the Beat concert series is also part of the festival and includes acts such as The Pointer Sisters and Rick Springfield. 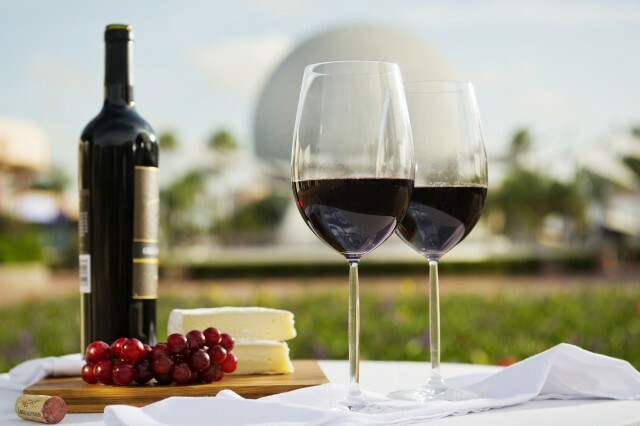 Be sure to visit the Disney Food Blog’s 2014 Epcot Food and Wine Festival Page for the most up-to-date information on the Food and Wine Festival, including menus, seminar information, and photos. Other special events this fall include the Disney Fit Challenge on September 26-28, the first-ever Disney Princess Cup Soccer Event on October 10-12; the Festival of the Masters on November 7-9; Mickey’s Very Merry Christmas Party on select dates from November 7 through December 19; and the Orlando Classic at the ESPN Wide World of Sports Complex from November 27-30. For guests visiting Walt Disney World this fall, Disney is offering Free Dining with a Magic Your Way Package. The dates are: August 31-October 3; October 26-November 1; November 9-20; and December 12-23. Packages must be booked by August 8. This entry was posted on Monday, June 23rd, 2014 at 12:00 pm	and is filed under Dining, Planning, Theme Parks, Tickets. You can follow any responses to this entry through the RSS 2.0 feed. You can leave a response, or trackback from your own site.